Facebook’s renewed focus on privacy brought new settings and apps to the social network in 2014. Check out the settings you should review. Opt out of Facebook ad targeting. Earlier this year, Facebook started using app and website data from your browsing habits to provide you with more targeted ads. That means if you search for a particular pair of boots online, you might see those ads pop up on Facebook, too. Facebook automatically turned on this type of advertising for all users. To opt out on desktop, visit the Digital Advertising Alliance. This website will scan for participating companies that have enabled customized ads for your browser. You can browse your results to learn more about their advertising and privacy practices, and opt out of this advertising for all or select ones. To opt out on your mobile device, use the controls that iOS and Android provide, Facebook advised. This includes private browsing, blocking cookies, and enabling do-not-track. 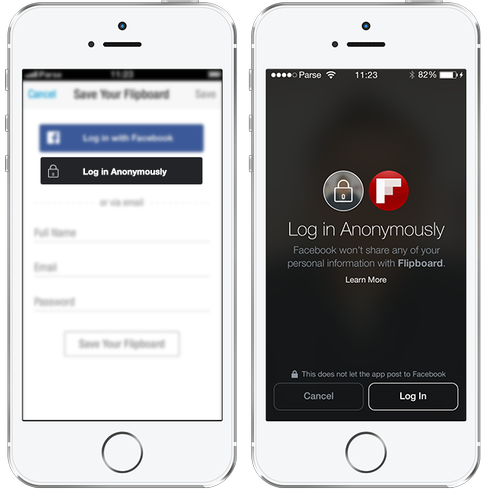 At Facebook’s F8 developer conference in April, CEO Mark Zuckerberg announced that Facebook Login, the button that allows third-party apps and websites to use Facebook Login credentials, will support Anonymous Login. This option lets you log into apps without sharing your personal information from Facebook, which typically they require. Anonymous Login is still in beta, according to the Facebook Developers page, so only some applications support it. Review Facebook’s “Nearby Friends” feature. Facebook launched a new mobile feature in April called Nearby Friends, a location-tracking tool that alerts your friends when you’re in close proximity. While it might sound creepy, the feature is optional — if you turn it on, you can choose who you want to share your location with — and reciprocal, so your friends will only see your location if they share theirs as well. If you’ve ever turned on Nearby Friends, it simultaneously turns on your Facebook Location History setting, which builds a database of the places you’ve been — even when you’re not actively using the app. You can find this information in the location history section of your activity log. If you want to turn off your location history, tap the More button, then Nearby Friends, then tap the gear icon. From that list, tap Location Settings, then switch the Location History feature to off. You can also delete locations from your history. To remove places individually, visit your Activity Log from your desktop and click More, then Location History. To clear your entire location history, click Clear Location History at the top. Use Facebook’s “View As” to see what your friends see. If you’re not sure which parts of your profile are public and which are friends-only, browse your profile in View As mode to see what others see. Find this setting by clicking the gear icon in your cover photo, then selecting View As. This will default to show you what parts of your profile are public. To see what a particular friend sees, click View as Specific Person at the top and type in his or her name. When you’re done, click the X at the top to leave View As and return to normal browsing. 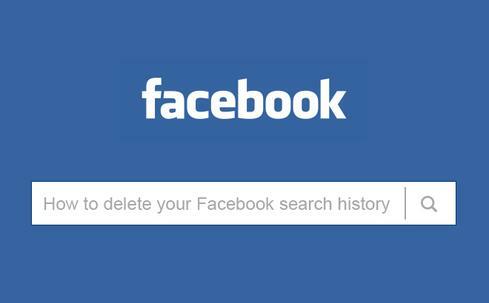 Remove your Facebook search data. Frenemies, exes, and everything else you’ve searched for — Facebook keeps track of it all. The good news: You can easily clear your search history. Find your search history by visiting your Activity Log, and click More from the left-side navigation. Then click Search. Your entire search history will load, so long as you’ve never deleted it before. To remove individual searches, click the Block icon and select Remove. To clear it all, click the Clear Searches link at the top. Use Facebook’s Privacy Checkup to review your settings. Facebook launched a new tool in September that reviews who you share content with. You can access Privacy Checkup by clicking the Privacy Shortcuts icon at the top of Facebook. Privacy Checkup takes you through three steps to review your settings, including the audience of your status updates, the apps you have used Facebook to log into, and the privacy of key pieces of your profile, including your work information, education, and current city. See something you don’t like? Privacy Checkup lets you make changes to your settings on the spot. Control the photos and posts you’re tagged in. The privacy of your photos and posts are two of the most common gripes users have with Facebook, as the settings for each have changed many times over the years. To choose who can see posts you’ve been tagged in, visit your Settings page, then click Timeline and Tagging. Look for the setting “Who can see posts you’ve been tagged in on your Timeline?” and click edit. Then, choose the audience. Turn off location for Messenger. 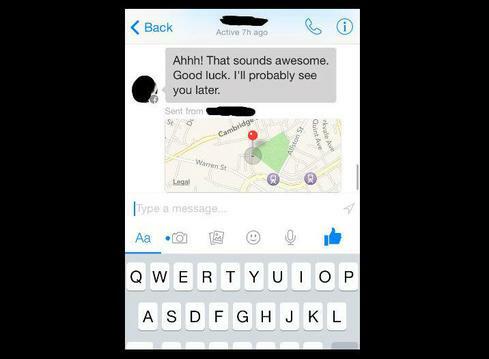 When you use Facebook’s Messenger app to chat with friends, it tracks your location. If you’re an Android user, the app tags your location in messages by default, but requests permission from iOS users to turn on location services. Your friends can see your location in two places: below your message and on a map, which friends can access by tapping your chat bubble. To turn off this feature, tap the arrow or the small circle next to your text box, which turns it from blue (on) to gray (off). You can also turn off your location setting for Messenger in the settings section of your device.